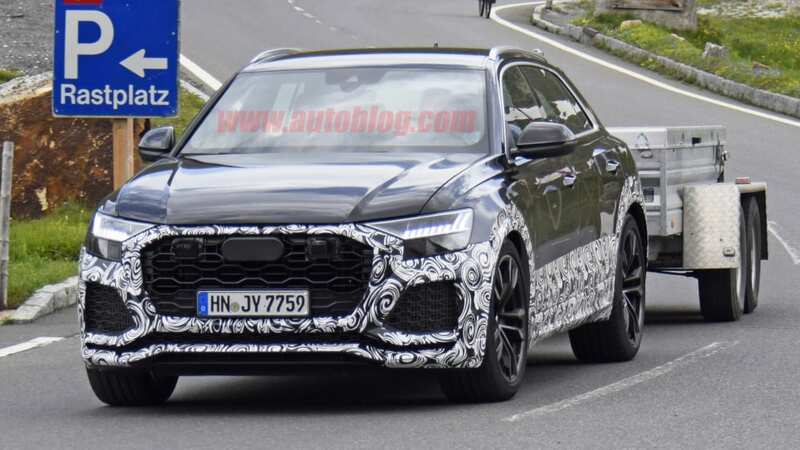 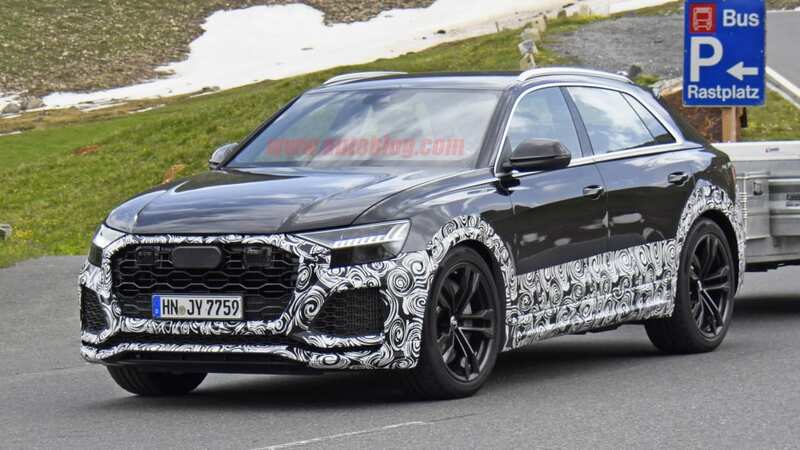 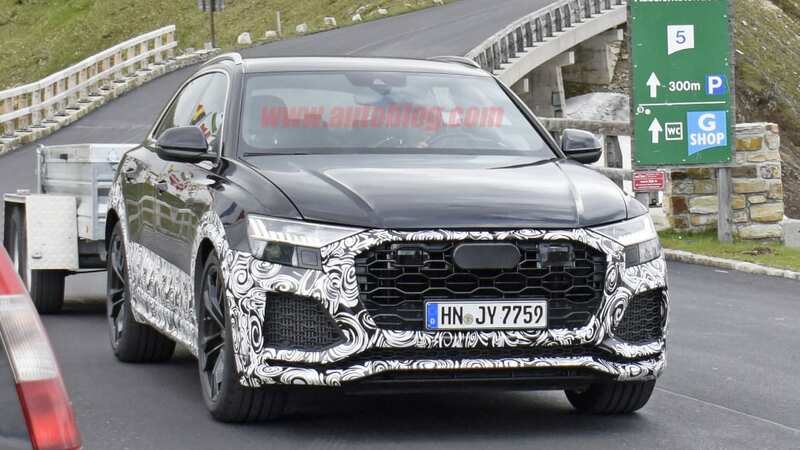 The high-performance 2019 Audi RS Q8 flagship crossover SUV has been spied once again, this time being the first since the reveal of the standard model. 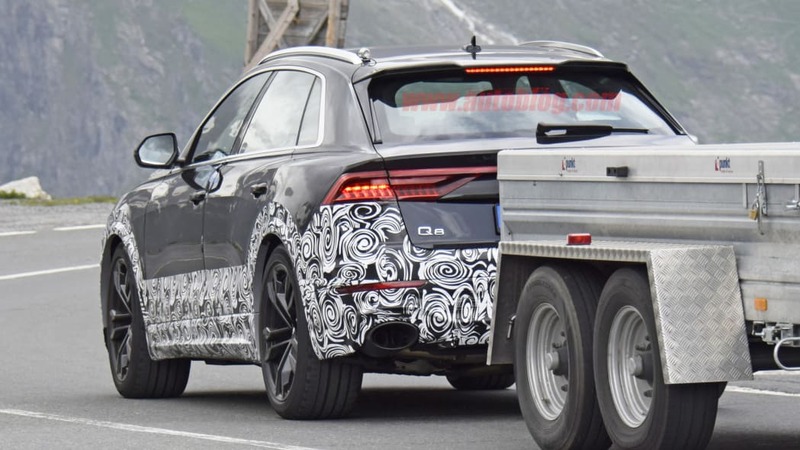 The photos show that it was testing with a trailer up in the mountains. 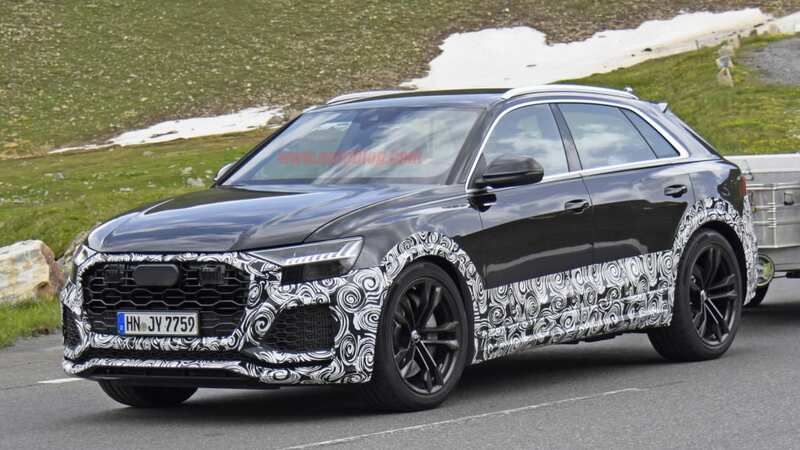 It also featured less camouflage than we've seen on previous versions. 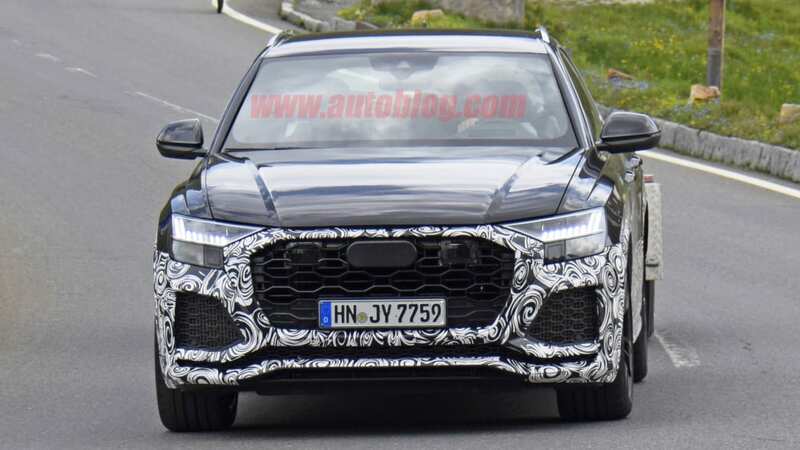 As with most performance Audis, visual changes are modest. 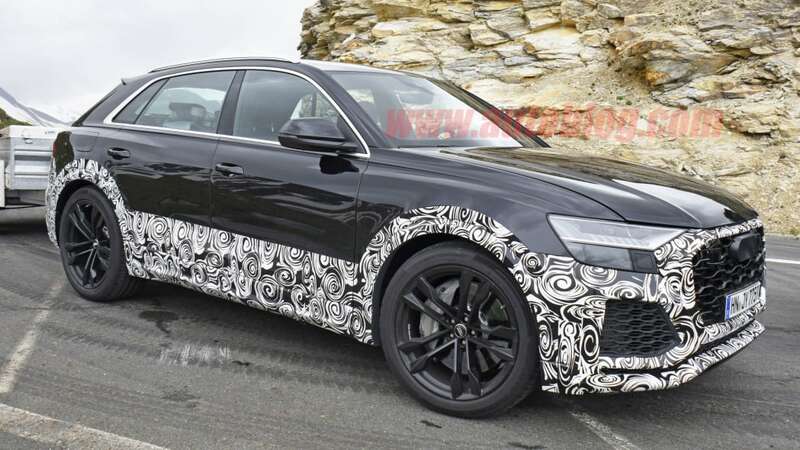 We can see that this RS Q8 has a deeper front spoiler on the front bumper. 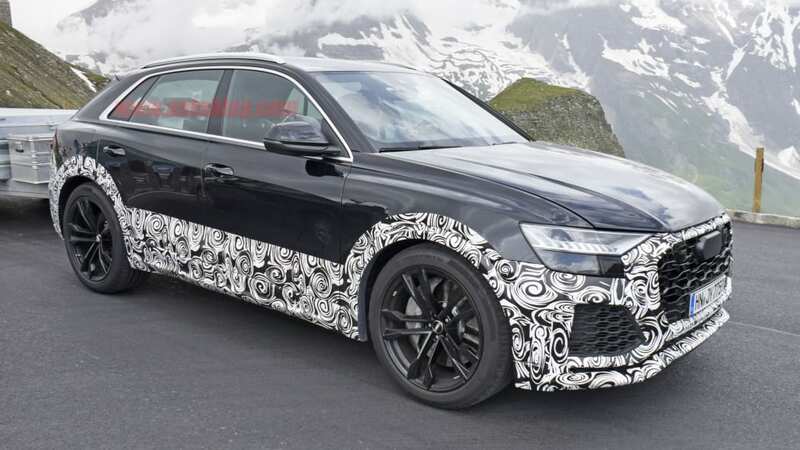 All of the grilles up front have been enlarged a bit, too. 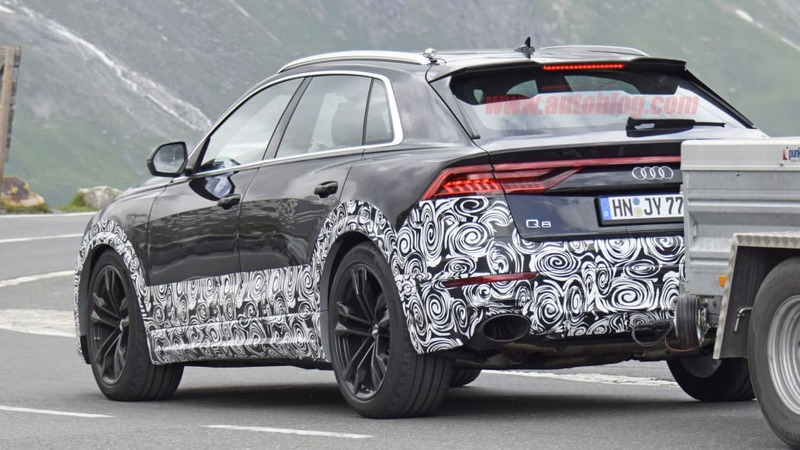 Speaking of which, they also feature a new insert pattern. 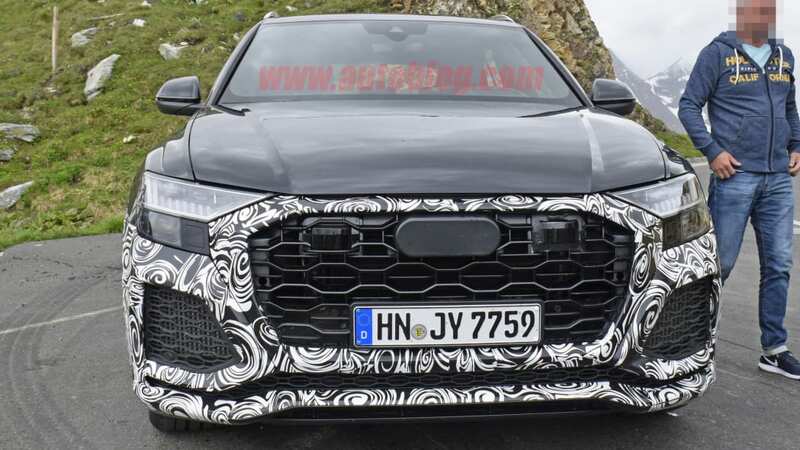 Instead of the simple vertical and horizontal slats of the standard model, the RS Q8 has a more elaborate hexagonal mesh that seems to echo the shape of the main grille. 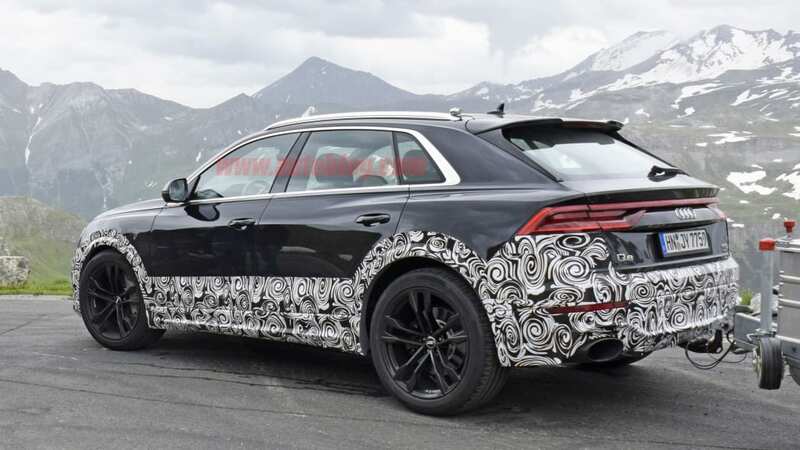 There aren't many changes to the midsection of this RS Q8, though it does get some aggressive wheels and huge cross-drilled brake rotors and multi-piston calipers. 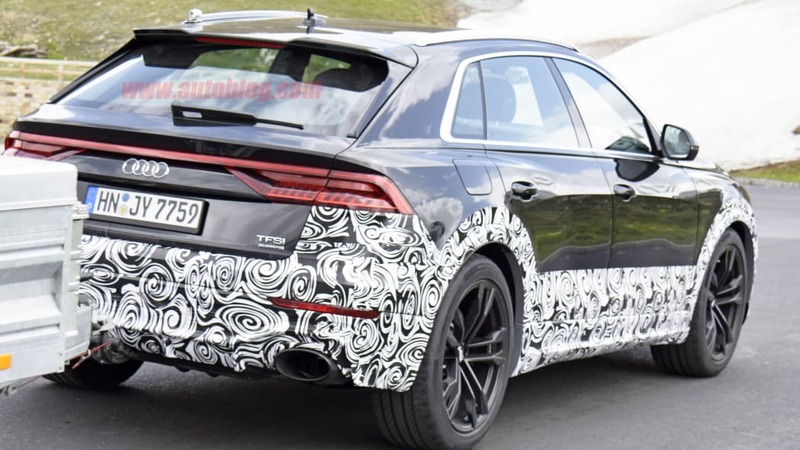 At the back, the primary changes are in the rear bumper. 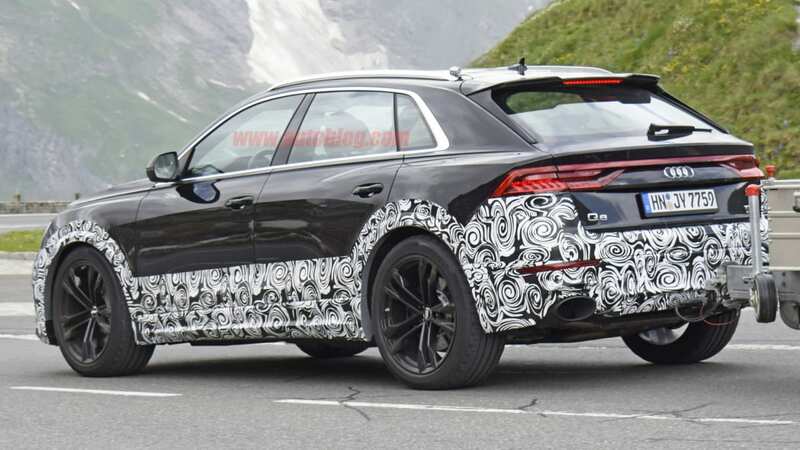 The exhaust tips are signature Audi RS ovals, though interestingly, they're just single ovals on each side instead of the quad tips seen on a previous prototype. 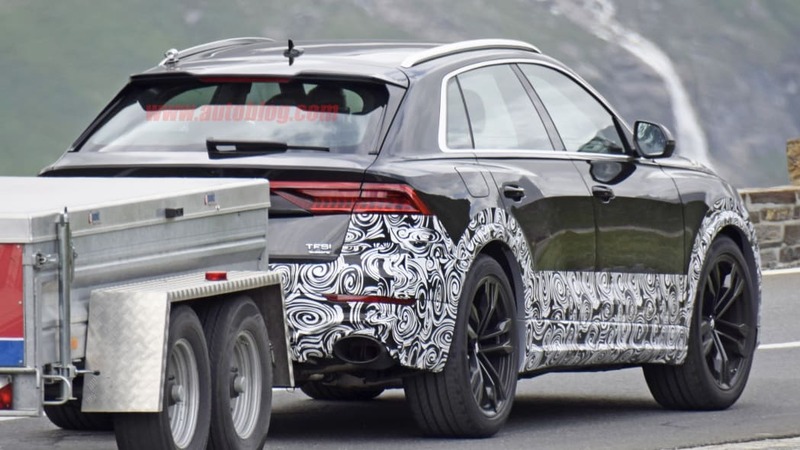 The rear bumper has been reshaped, too. 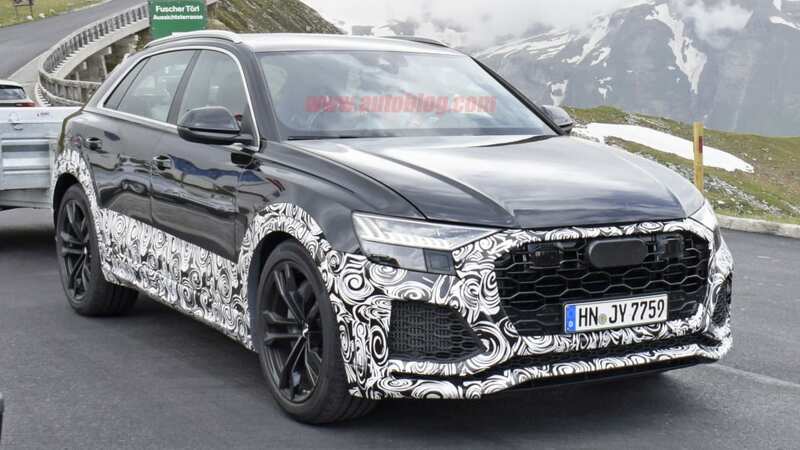 Though the camouflage hides it well, this RS Q8 has a much more aggressive faux diffuser finish on the bumper. 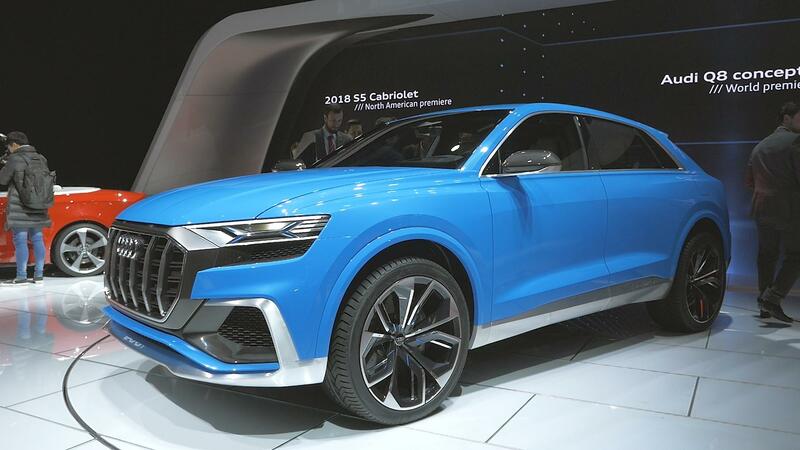 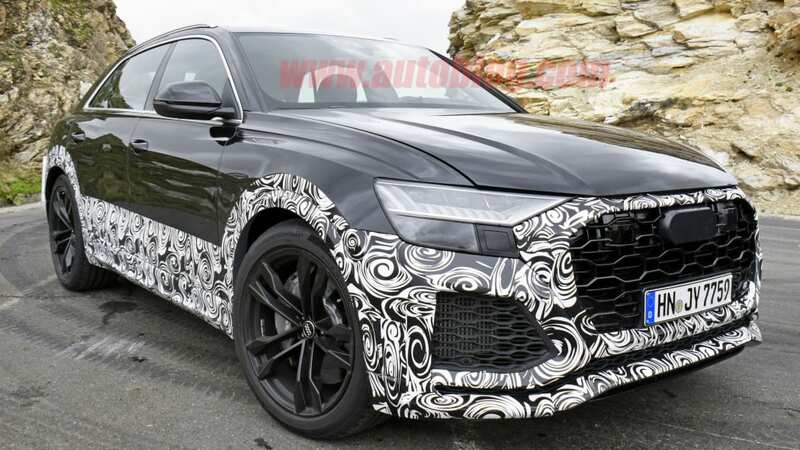 Now that the regular Q8 SUV has been revealed, we imagine we'll see the RS Q8 fairly soon, certainly within the year. 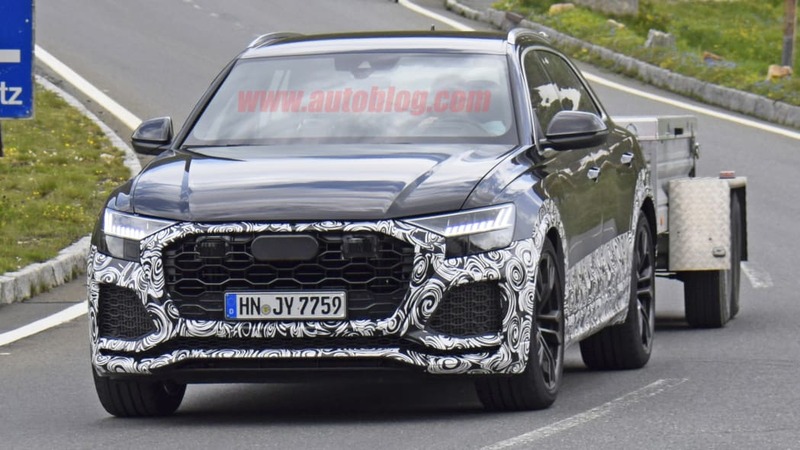 We expect it to use a version of the twin-turbocharged 4.0-liter V8 found in the Lamborghini Urus.